Notable celebrities are supporting the National Museum of American History in celebrating the 200th anniversary of the Star-Spangled Banner. Artists such as Aloe Blacc, Renée Fleming, Angie Johnson and Brian McKnight are encouraging Americans to take part in the museum’s coast-to-coast celebration. “Raise it Up! Anthem for America,” held on Flag Day, June 14, is a national sing-a-long event for people to come together and sing their anthem at 4 p.m. EDT. Details are at anthemforamerica.si.edu. The National Park Service, Little League International, Girl Scout Council of the Nation’s Capital, the National Civic League, the John F. Kennedy Center for the Performing Arts and Chorus America are among more than 50 partners bringing audiences across the nation together for this celebration. Select Macy’s flagship stores in Chicago, New York, Philadelphia and Washington, D.C., will host anthem tributes showcasing the “Raise it Up!” campaign in store windows, on social media and with special events, including sing-a-longs. 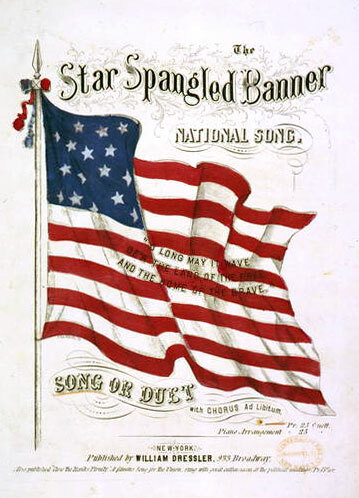 “Two hundred years ago, Francis Scott Key, inspired by the sight of the flag’s ‘broad stripes and bright stars,’ wrote a song that gave new significance to a national symbol and started a tradition through which Americans have invested the flag with their own meaning and memories,” said John L. Gray, director of the museum. “It is an honor for the museum to be the home of the Star-Spangled Banner and to preserve it for future generations,” he added. On the museum’s Mall terrace, a celebrity singer joins as Grammy-winning composer Eric Whitacre conducts a 500-person choir in performance of “America the Beautiful;” MacArthur ‘genius’ Fellow Francisco J. Núñez conducts “Lift Every Voice,” with commander and conductor Col. Larry Lang directing The U.S. Air Force Band and Singing Sergeants. 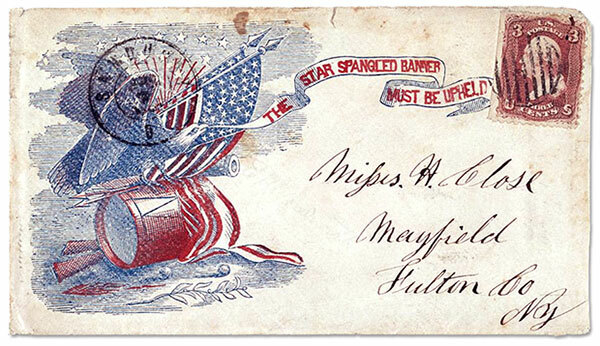 June 14 – July 6, the Maryland Historical Society is lending Francis Scott Key’s original manuscript of the “Star-Spangled Banner” lyrics, uniting it for the first time with the flag Key saw at “dawn’s early light.” Visitors will be able to see the 30-by-34-foot flag and the manuscript, side-by-side in the banner’s environmentally controlled chamber at the museum. Beginning June 14, the museum will display Grammy award-winning opera singer Renée Fleming’s Vera Wang gown worn when she sang the national anthem during the 2014 Super Bowl. The long black dress features pleated accents at the waist and an ivory silk faille floor-length wrap coat with exposed shoulder and hand-draped detail. June 17, the Smithsonian will present designer Ralph Lauren, son of immigrants, with the James Smithson Bicentennial Medal during a naturalization ceremony welcoming 15 new Americans. The medal recognizes Lauren’s lifetime contributions to American artistry, entrepreneurship, creativity and vision. 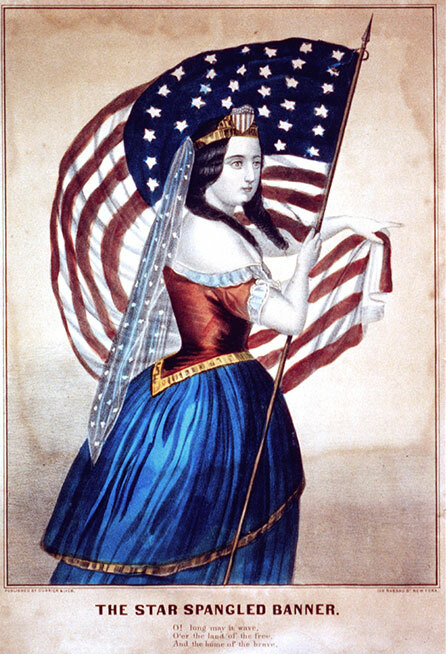 Lauren also played a leadership role in the preservation of the Star-Spangled Banner. 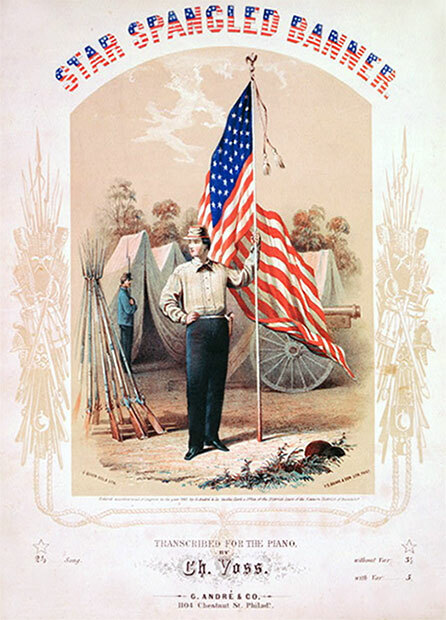 The anthemforamerica.si.edu website will feature an interactive timeline, “The Banner Yet Waves: 200 Years of the Star-Spangled Banner,” which will have traditional renditions of the anthem from the archives of Smithsonian Folkways Recordings as well as contemporary renditions and interviews with musical artists, including Blacc and Johnson. The Smithsonian Channel and the museum are collaborating on a documentary, “A Star-Spangled Story: Battle for America,” which premieres June 14 at 9 p.m. EDT. The film documents the story behind the 200-year-old anthem – from the burning of Washington to the creation of the iconic American flag – revealing the forgotten battle that could have changed the fate of the nation. The museum is located at 14th Street and Constitution Avenue N.W., and is open daily from 10 a.m. to 5:30 p.m. (closed Dec. 25). Admission is free. For more information, visit http://americanhistory.si.edu.